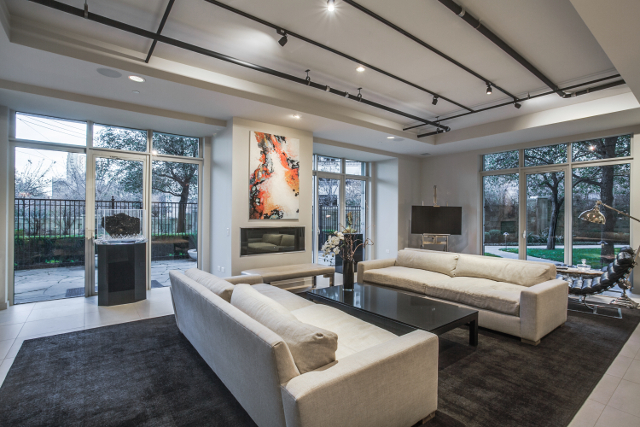 Jeanne Milligan will open her beautiful, eclectic Vendome unit for the 2019 Turtle Creek Association Tour of Homes on April 7. 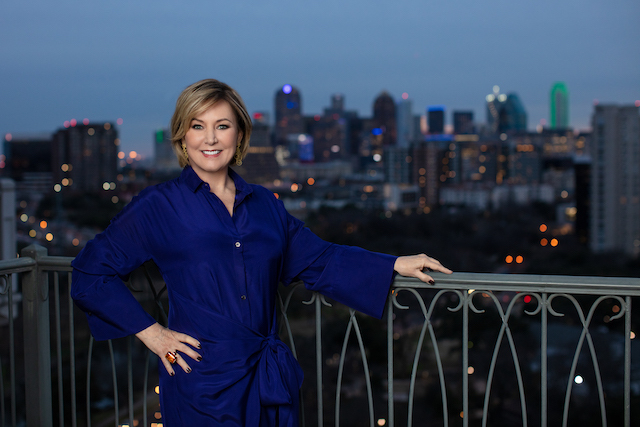 Jeanne Milligan’s love for art and travel has presented the Briggs Freeman Sotheby’s agent with a unique problem — an abundance of wonderful art and decor for her tasteful and eclectic unit inside the luxurious Vendome on Turtle Creek. One of Milligan’s favorite destinations is Marrakesh, a spot where she often finds wonderful pieces for her home. “Every time I return, I bring back a bit of art,” she said. 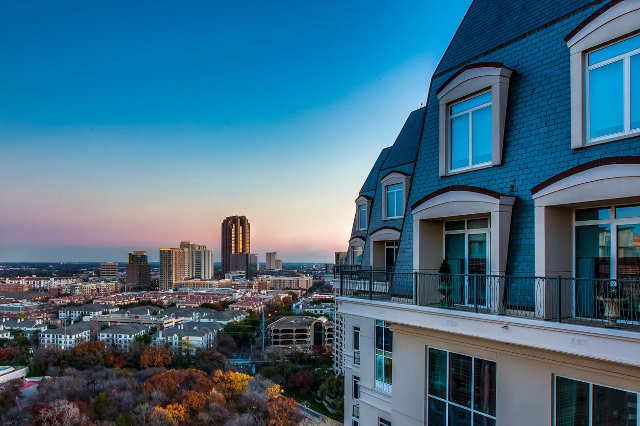 And those treasures have made her beautiful high-rise a sight to be seen — one you can see for yourself, in fact, in this year’s Turtle Creek Association Tour of Homes. Milligan’s exquisite decor and superb views will be one of the five fabulous stops on the tour, which benefits the Turtle Creek Association‘s mission to preserve, protect, and enhance the natural beauty and quality of life within the 87-acres of greenways and parkland of the Turtle Creek Corridor. Of course, Turtle Creek wouldn’t be the same without the Vendome, either. The building is known for its luxury and amenities, and fabulous views of the surrounding area. Jeanne Milligan’s Vendome unit offers a look insider her travels. Me? I like the “high” in high-rise. I suppose it’s my way of wearing high heels without the constant fear of toppling over. However, I realize some people would like the high-rise life and location without the high part. Enter Vendome’s unit 1H, the only ground-floor unit in the building. If this home looks familiar, that’s because it’s the featured image on the Turtle Creek Tour of Homes web page. That tour features some wonderful properties and is the perfect Sunday event on April 8th. If you’re impatient like me, keep reading. We all know that anything under $1 million is flying off the MLS faster than a Cabbage Patch Kid in the 1980s. In the $1 million-plus market, homes are still flying off the shelves like Cabbage Patch Kids … in 2016. Sure they’re still selling, but no one is getting trampled. This sentiment was echoed recently at the National Association of Real Estate Editor’s conference by journalists nationwide. To me this means that if you’ve got the means to buy in the luxury market, there are some bargains to bag. Here are two. I toured this home recently with listing agent Ben Jones from Briggs Freeman Sotheby’s. This is a large home with a long and swanky past. 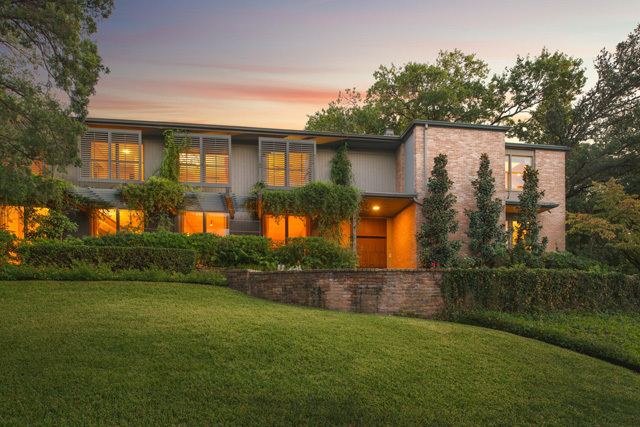 Designed and built in 1954 by O’Neil Ford, one of Texas’ most influential 20th century architects, this home is just cool … and a bit frightening.